If you are looking for a challenge, try African American genealogy. African Americans must collect all of the records for their own family members and then start collecting records of the employers and slave owners. Those of us who are the descendants of slave owners need to do more to preserve and share those records. "When finally I chose to look into the slave past, I felt a remarkable calm, and the rest of the path seemed clear. To complete the legacy, I would try to find descendants of the slaves. The plantation heritage was not "ours," like a piece of family property, and not "theirs," belonging to black families, but a shared history. The progeny of slaves and the progeny of slave owners are forever linked. We have been in each other's lives. We have been in each other's dreams. We have been in each other's beds. As I prepared to go back to South Carolina, I thought we should meet, share our recollections, feelings, and dreams, and make the story whole." I recently received information from two of the members of the Bay Area Genealogical Society about slaves owned by their ancestors. They were unsure of the best method to preserve and publish these slave records. After reviewing the existing avenues for preserving slave records, I am still not sure which of these is the best long term preservation method. Since I am still weighing the options for the best preservation methods, I will publish those records here so they will hopefully be indexed by Google, Bing and Yahoo. Hopefully, this blog post will be the beginning of a dialogue on methods to preserve and share our records of slave ownership. Current online methods for preserving the records of our families related to slave ownership include but are not limited to Rootsweb, US GenWeb, Digital Library on American Slavery, Afrigeneas, Sankofagen, Portal to Texas History, blogging, and society websites. Kudos to those that are preserving and sharing slave records at these websites. This article is also a call to action on the part of all genealogists, societies, archives and libraries to make these records better preserved and more accessible. "Attached is my transcription of the slaves named in the divorce of John H. Crisp and Mary R. Bowles. They married 3 Sept 1851 in Lafayette Co., Mississippi, and moved to Hardeman Co., Tennessee. In Mississippi a married woman could own property but not in Tennessee. She left Dr. Crisp and moved back to her plantation home in Mississippi in December 1854. Mary sued Dr. Crisp to recover her dower in a law suit in Marshall County, Mississippi, referenced in the divorce. Apparently Dr. Crisp transferred all the property which he had acquired by marriage to Mary's oldest son, James R. Bowles, and James immediately transferred it to his mother. They agreed that neither would be responsible for the debts of the other. John Crisp moved to Colorado Co., Texas, and in 1859 filed for divorce from Mary. Feel free to use these lists however you want. His slaves likely were taken to Colorado Co., Texas. Hers stayed in Lafayette Co., Mississippi." Making one hundred and forty-nine negros in all. It is notable that many of the names on this list appear to have surnames and full birth dates. Dr. John H. Crisp went to Brazil after residing in Colorado County, Texas. The biography at this link of a nephew mentions John H. Crisp moving to Brazil after the Civil War. Is it possible that some of these slaves continued to live in Colorado County, Texas after the war? We see that the child named Bolivar born 1854 in the slave list matches with Bolivar Crisp born 1854 and residing in Colorado County, Texas in 1870. He was the only young man named Bolivar in the 1870 census of Colorado County. Nonetheless, many if not most of the same freedmen agreed to work on the plantation again in 1866. This time, the terms of their employment were clear to everyone concerned: the freedmen would be compensated with 25% of the crop they produced. Crisp, however, had already begun looking for a way to continue the slave owning lifestyle to which he had become accustomed. At the end of the summer of 1865, he left for Brazil, where slavery was still legal, to evaluate the prospect of buying a plantation there and stocking it with slaves. He returned to Texas determined to relocate. Others considered following. On March 6, 1866, Crisp sold his plantation, complete with livestock and the 75% of the crop to which he was entitled to S. M. Baird, an attorney who had recently opened an office in Columbus, for $20,000. Baird was to pay Crisp on June 1, but evidently failed to do so. Crisp cast around for another buyer and finally found one, in Rufus King Gay and his wife, Bettie Munn Gay, who bought the plantation for $10,000 on April 15, 1867. On June 28, he sold his part of the growing crop, the livestock, and the farming implements to Thomas C. Hanford and Charles D. Willard for another $9165. [Source Note 10]." 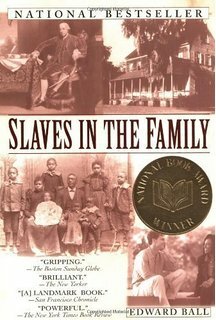 Nathaniel born 1844 is found toward the top of the slave list. No immediate results were found for him in the 1870 census. A wildcard search was performed for all men with names beginning with "Nat" but nothing appeared to match to Nathaniel born 1844. The source notes for the quoted history show that the library in Columbus has a fantastic historical archive: Barry A. Crouch Collection (Ms. 41), Archives of the Nesbitt Memorial Library, Columbus. This is an excellent example of local preservation. I forwarded a copy of this slave list to the director of the library to add to their archive. This slave list could keep me busy for months trying to search all of the names and the descendants. Unfortunately this is about all I can do for now. I would certainly be happy to accept inquiries and volunteers. I will continue to publish these slave lists in future posts. If you are interested in helping to uncover their stories, please contact me.